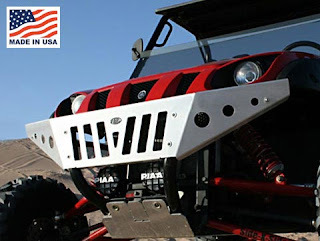 Adding a new bumper to your ride is one of the easiest ways to set your machine apart from all the rest while also adding additional protection. Many of the after market bumpers mount right where the stock bumper was located making installs a breeze. If you switch out to aluminum bumpers you will also save some weight and it won't rust like steel does. However, steel is nice because it can absorb an impact and bend without breaking which is not likely the case with aluminum. 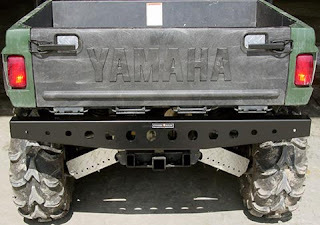 Most bumpers make a dramatic difference in appearance like the Rhino shown below. Almost all our bumpers ship free in the USA so if your looking to change the look of your machine, consider replacing your bumpers! Giving away an Arai Monster Energy helmet!